In China, few, if any, dog meat farms remain. Classed as carnivores, dogs have proven difficult to raise under general livestock conditions in China, mainly owing to high feeding cost, high rate of injuries and deaths from fighting under stressful conditions, as well as high risk of disease and infection. Dogs are easily prone to injury or disease under such conditions. As a result of transporting them across great distances in crowded cages – to areas of highest demand – a high percentage of animals both catch, and share, disease. Traders now resort more to stealing dogs - cruelly slaughtering them and illegally trading in their meat. Often dogs are poisoned with the toxic chemicals still present when they’re later served up to diners. 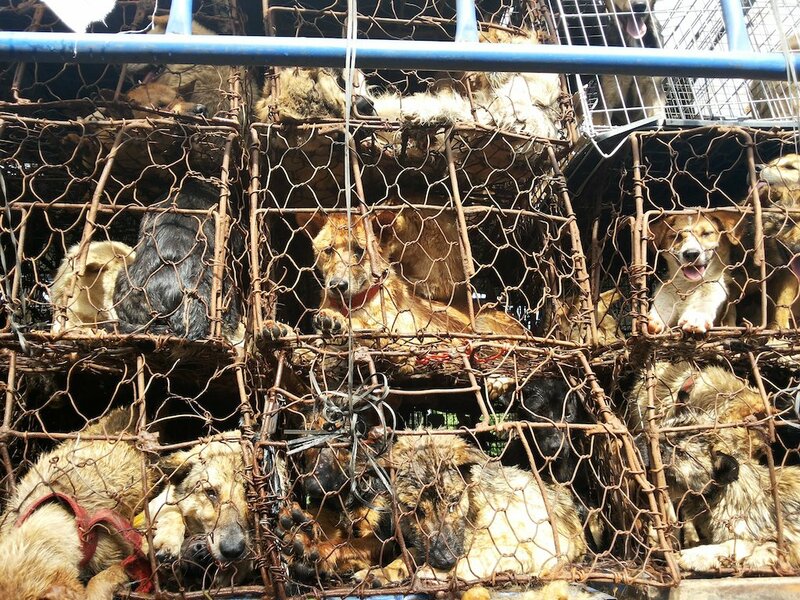 All of the above problems will be intensified by the pressure to provide 10,000 dogs. In 2013 alone, the media reported over 40 dog theft-related injury and death cases. So far in 2014, nine similar cases have been reported. It’s believed this is just the tip of the iceberg. The dog thief’s weapon of choice is increasingly a crossbow loaded with poison or anaesthetic. This is considered a dangerous and controlled weapon by the state. If a dog is stolen then serving a dog in a restaurant should be considered little more than trading in stolen goods. The progression of civilisation requires culture and tradition to be continuously reviewed. Traditions and customs inconsistent with modern civilisation cannot be maintained. Looking back at history, we see that many inhumane “traditions” - slavery and foot-binding, for example, have been protested and outlawed by society. Their elimination encourages a harmonious and healthy society, and a positive national image, without causing harm to our rich culture. This way we can keep alive the valuable traditions that actually benefit society. “Traditional culture” should not be an excuse for a corruption and cruelty. The discussion and outrage regarding this issue from the public and media is becoming more intense. Last month more than 30 celebrities including Karen Mok, Zhao Wei, Yang Ying, Chen Kun, Daniel Wu, Yang Mi and Feng Shaofeng appealed through public social networks to bring the festival to an end. In the past such campaigns have been successful. Qianxi in Jinhua City, Zhejiang Province regularly held a commodity fair each year. The Hutou Dog Meat Festival was held at the same time and thousands of dogs were slaughtered. In August 2011, various animal protection associations in China began to publicise the issue, and firmly denounced it. They were backed by huge online appeals. 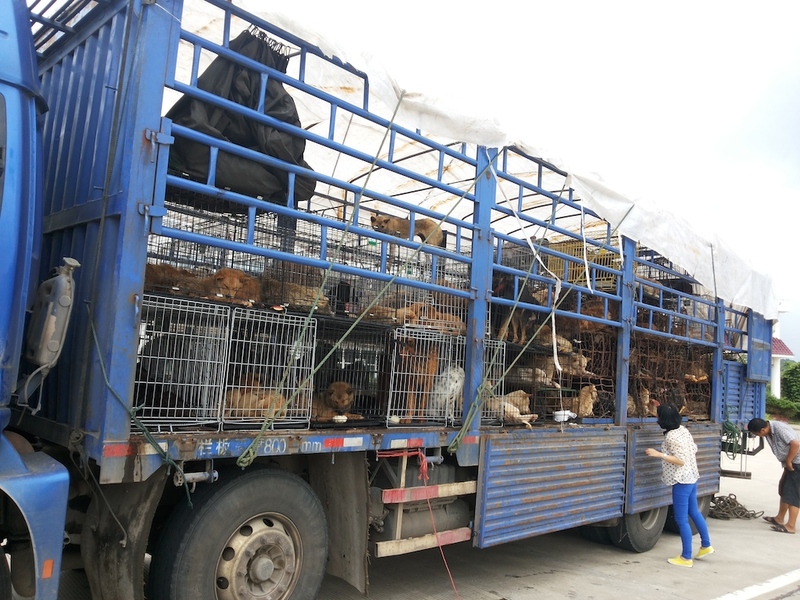 The Committee of Wucheng District, Jinhua City eventually decided that whatever the benefit to their town of the dog meat festival - having no festival was far more beneficial. The Yulin Lychee Dog Meat Festival itself is, in fact, not a tradition at all. It only started in the 1990s. It exists because of profit and has been linked to economic growth. But bad news has increasingly overshadowed the good. Negative coverage is growing - dog theft, criminal activities, food hygiene issues, and rabies fears - not to mention the division in society between those for and against the festival. Together these have brought significantly more negative publicity to Yulin than economic benefits. The killing and eating of cats and dogs is opposed by a growing number of people and governments of many Asian countries have taken measures to stop the practice. In Hong Kong it’s been defined as illegal since 1950. The Philippines launched its Animal Welfare Act in 1998, announcing the slaughtering of cats and dogs for food to be illegal. In 2003, Taiwan saw its Animal Protection Law amended and updated to specifically stop the practice. Instead, these regions and countries promote cats and dogs as an important part of advanced civilisation and prohibit the consumption of cat and dog meat, thus winning wide recognition from animal loving citizens and from the international community.